By day, he teaches English at Luxemburg-Casco High School. Nights, weekends and any other time he can manage, he’s tapping away on his laptop. 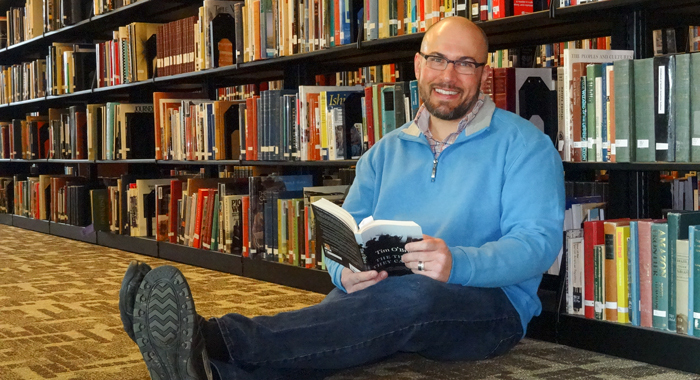 Scott Winkler ’93 is addicted to words. Flowing sentences. Well-crafted stories. Whether he’s discussing them with his students, coaxing them out of their heads and onto paper, or stringing them together himself, he finds it all magical. Winkler began his writing career at St. Norbert, where his first printed piece was a poem, “Dancer,” published in The Rectangle, a literary journal of the international English honor society Sigma Tau Delta. He continued writing poetry as a young teacher. But eventually he segued to fiction. “I had some stories I wanted to tell, some things I wanted to get out, but poetry felt a little too limiting,” he says. Many of the stories Winkler wanted to tell involved baseball. 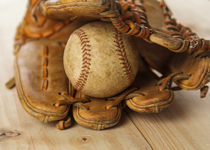 A lifelong Brewers fan, he became enamored with the writings of W.P. Kinsella, who penned the novel “Shoeless Joe,” later made into the film “Field of Dreams.” After attending a weeklong class during the University of Iowa’s Summer Writing Festival, Winkler decided he needed to go back to school to hone his writing. He received a master’s in English at the University of Wisconsin-Milwaukee, and just earned his Ph.D. in the same subject, also from UW-Milwaukee. During the decade-plus he was in graduate school, he continued to teach. He also continued to write. Has he settled on a favorite genre? “I still find myself torn in so many ways!” he says. “I’m working on this novel right now, but I also find myself drawn to academic writing. There’s a great academic book waiting to happen on serious baseball literature, and I’m chomping at the bit to do that.” And teaching? That’s still a passion, too. Winkler loves talking writing and literature with his enthusiastic, young pupils, who think it’s pretty cool their teacher is a published author. • “The Wide Turn Toward Home” (Pocol Press, 2008), a collection of seven short stories and the title novella. • “Burning Gorman Thomas,” a short story published in Elysian Fields Quarterly, a literary baseball journal. • “Poems of My Father,” a collection of poems published in Verse Wisconsin. Liam Callanan, author of “The Cloud Atlas,” says “The Meadow,” a new novel by Scott Winkler, “feels lived and lived in, which is the highest compliment I can give a novel.” Our excerpts deal with an Eastertide experience and more from this coming-of-age novel.